Rev. Shaji. K. Daniel is the founder and president of Agape Full Gospel Ministries. In December 2006, Agape Bible College was dedicated. Its academic year started in June 2007. Rev. Shaji K. Daniel is an anointed preacher with a prophetic and healing ministry. He has traveled extensively conducting crusades and speaking in conferences to spread the Gospel of Jesus Christ to places around the world including: South America, Central America, Europe, Asia, Africa and North America. He has also written and recorded many Christian Devotional songs which you can get here. He earned his theological degree from Christ for the Nations, USA. He is also a well known business man. He established Agape Churches in Kerala, Andhra Pradesh and Middle East countries like Dubai, Abudabi & Sharjah. His wife, Shiney Cherian Daniel, is his partner in life, ministry and also in business. After 10 years of marriage they were unable to have children, and then God blessed them by giving them quadruplet girls whose names are Sarah Michelle, Ruthann Jessica, Marybeth Victoria, Priscilla Lynn. After another two years God blessed them with a boy named Paul. Mrs. Shiney Cherian Daniel, wife of Rev. Shaji. K. Daniel, is the leading force behind the success of his ministries. 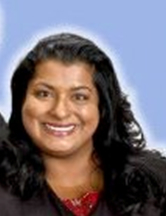 Mrs. Shiney Cherian Daniel is the Vice-President of Agape Full Gospel Ministries. She holds a Bachelor’s Degree in Biology from Baylor University, an MBA in Healthcare Management from the University of Dallas, a Master’s in Public Health from the University of North Texas, and a Law Degree from Texas Wesleyan University. Rev. 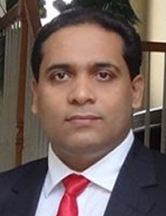 Manoj Mammachen is the Administrator of Agape Bible College and the Coordinator of Agape Church in Andhra Pradesh, India. He has also been appointed as the Pastor of Agape Church in Dubai and Sharjah. He was the Registrar of Agape Bible College from 2007-2012. He earned his Bachelor of Theology and Master of Divinity from New Life Theological Seminary, Cheruvakkal. Rev. T.V. Thomas has served as the Principal of Agape Bible College since 2007. He is a qualified person having post graduate degrees in English Literature, Christian Studies, Theology and a post graduate diploma in Pastoral Counseling. He has more than 30 years of experience in pastoral ministries. Rev. 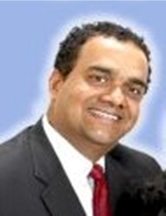 Sam Varghese is the Registrar of Agape Bible College. He earned a Bachelor of Divinity, Master Degree in Sociology, and Master of Theology from Senate of Serampore University. Rev. Shibu M. R. is a full time pastor of Indian Pentecostal Church of God. He earned his Bachelor of Theology from India Bible College, Kumbanad and Master of Divinity from Southern Asia Bible College. Rev. Mathew Varghese is the Dean of Spiritual Affairs. He is also a full time pastor of Church of God Full Gospel Church. He was working as a cross-cultural missionary of North India for 20 years before coming to Agape Bible College. Rev. 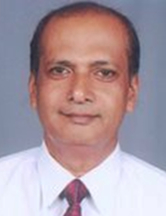 Shibu K. Mathew is a visiting faculty of Agape Bible College. He is the Registrar of Mount Zion Bible College and also the chief editor of Yunganthya sandesham. He obtained his Bachelor of Divinity and Master of Theology from Senate of Serampore University. 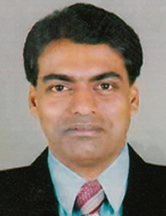 Pastor Ravi Kumar is a powerful minister in Andhra Pradesh, India. He established lots of churches in Andhra Pradesh and became the part of Agape Full Gospel Ministries. He is a visiting faculty of Agape Bible College. Mr. B. Luikang if from Manipur. He was a former student of Agape Bible College and joined Agape Full Gospel Ministries in 2012. He is assisting in Library and in the Department of Spiritual Affairs.